Theatre, play is an expression of such art form which has its own beauty and is more appealing than anything else. Till now theatre has given us many amazing creations. In this legacy there is a new Marathi play Challenge is added on this 26th February 2018 on the occasion of freedom fighter Savarkar’s death anniversary. 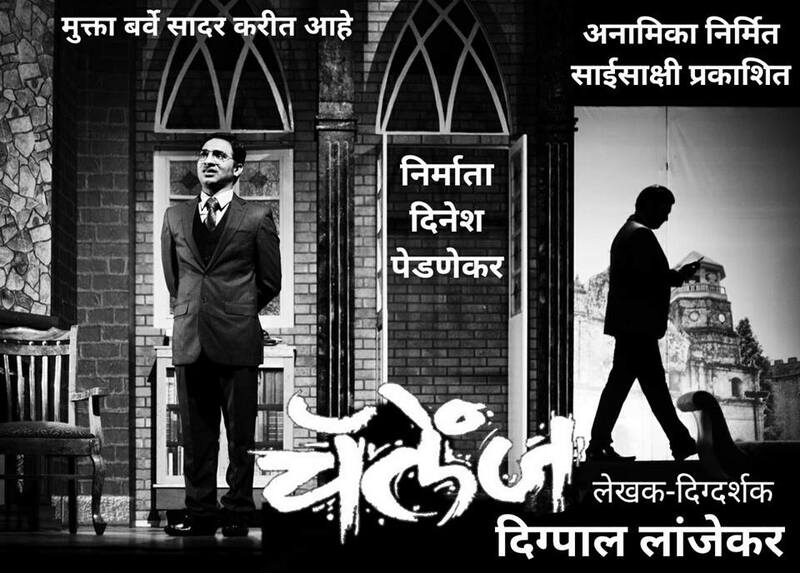 The play is getting a very positive response and good attention. 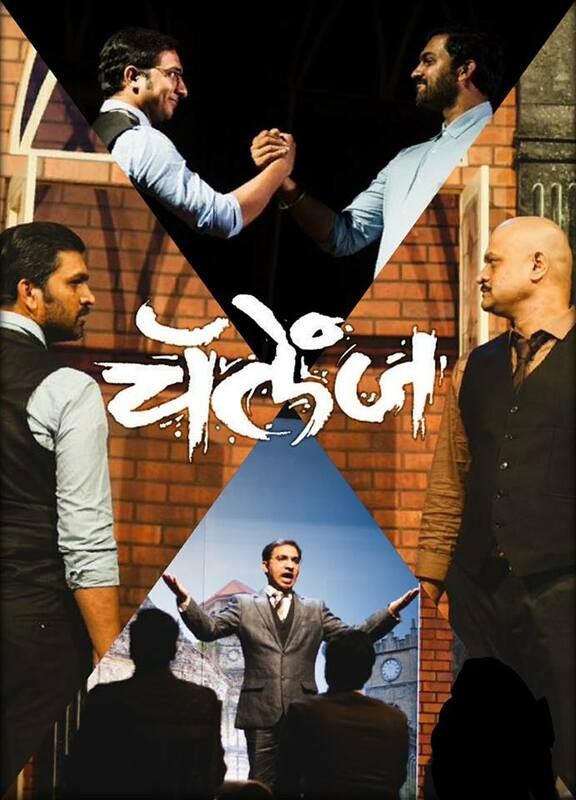 It’s a youthful play based on the friendship of freedom fighters Savarkar and Madanlal Dhingra. It is written and directed by Digpal Lanjekar and produced by Mukta Barve and Dinesh Pednekar under Anamika and Saisakshi’s banner. 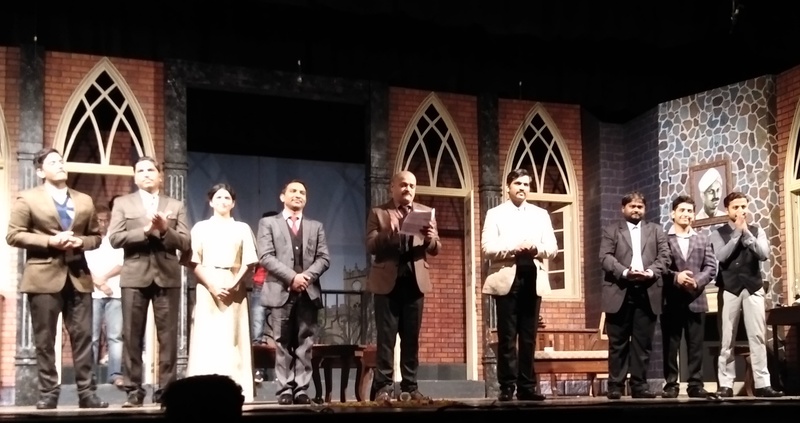 Challenge is a play which speaks about freedom fighters Savarkar and Madanlal Dhingra’s friendship. When Dhingra is highly doubted about his loyalties towards the nation and Savarkar by his fellow freedom fighters, in that period Savarkar keeps his faith in him and proves his patriotism to the whole team. Such a beautiful message. Aacharya (Dnyanesh Wadekar) and Varma’s (Jayendra More) rage for Dhingra is very well written and shown. Dhingra and Dolly’s (Dipti Lele) intense love is shown with elegance. 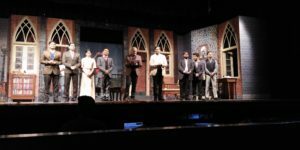 Lights and background music gives the perfect justice to the play and all the characters. Actor Nikhil Raut is playing the main character of freedom fighter Savarkar. His appearance, bearing, dialogue delivery and overall performance make it look like exact Savarkar. It doesn’t seem acting anymore when you start watching the play. Digpal Lanjekar is also in lead character of freedom fighter Madanlal Dhingra. His youthful acting creates the whole personality of Dhingra in front of your eyes and it’s very easy to relate. Other than this Dipti Lele (Dolly Voily), Dnyanesh Wadekar (Aacharya), Jayendra More (Varma), Shardul Aapte (Senapati Bapat), Suyash Purohit (V.V.S. Ayyer), Tejas Barve (Kirtikar), Tushar Sali (Chaturbhuj) all these actors have played their characters so well that none of them seems like acting. The whole play is created and enacted so well that it takes you to that era. Lights are done by Rahul Joglekar and Sachin Dunakhe. 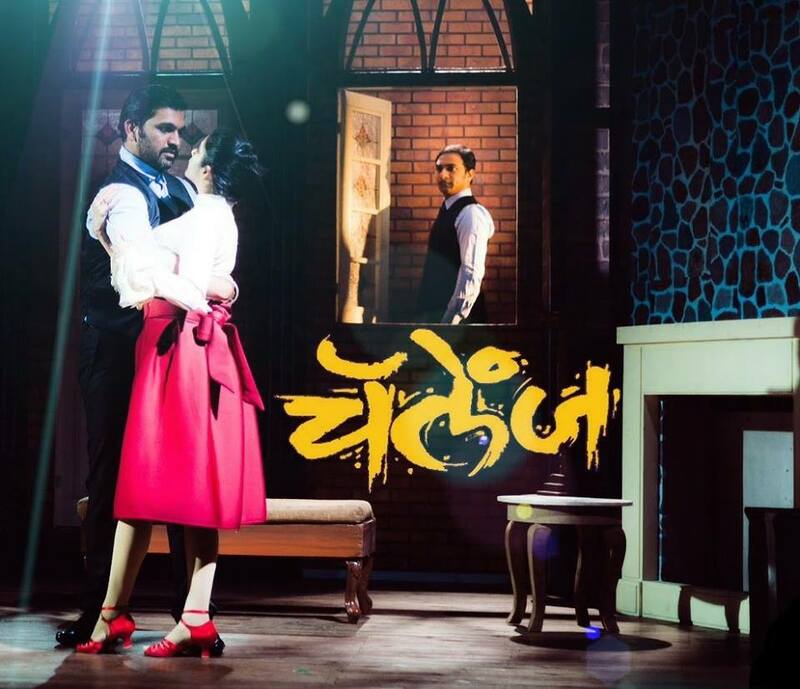 Background music is done by Nupura Niphadkar and set designing is done by Sandesh Bendre. Costumes are done by Digpal Lanjekar. To create something on a historical theme is itself a big challenge but it seems that this team has won this battle. Freedom fighter Savarkar is not only a name it’s a legend. 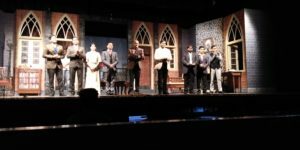 Madanlal Dhingra and all the other characters are equally important but there is not much information available about them. Still it has been built and created really well. We congratulate the whole team of Challenge from MarathiCelebs.Com. and wish them all the best for many more successful shows. Challenge is a good play. All the flavors blend very well in whole play. It is written, directed and enacted very well. Lights, music and costumes give the perfect justice to play. 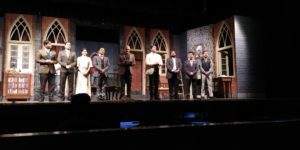 Overall it’s a good play. Challenge is a good play. All the flavors blend very well in whole play. It is written, directed and enacted very well. Lights, music and costumes give the perfect justice to play. All the elements are complimentary to each other. History is shown good in a modern way. Overall it’s a good play.